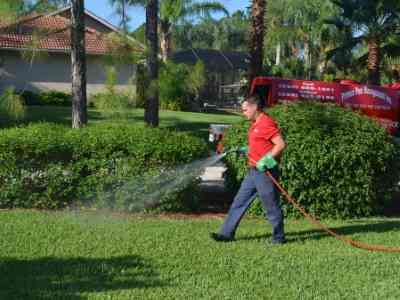 For our Naples area climate we recommend lawns be fertilized with a premium blend of slow-release fertilizers, which are better for the environment. 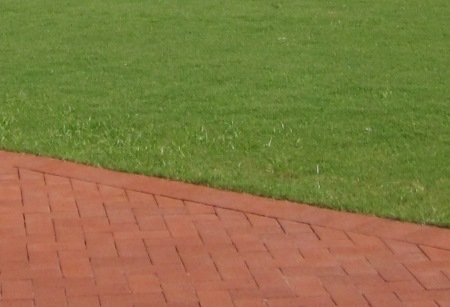 In the cooler months, lawns should be fertilized with a 20-2-10 blend. In the warmer months, this will be switched to a lower nitrogen blend of 0-0-15. Both of these blends have a high iron content along with other minor nutrients to ensure your lawn will stay lush and green. All year long, premium fertilizers should be applied. This helps ensure flowering shrubs bloom properly and non-flowering shrubs stay healthy. This will also help prevent discoloration too. We apply a 12-2-14 blend of fertilizers that has a higher manganese and magnesium content, which palms need for healthy growth. You may have noticed from looking at some of your palms that they may have a frizzled appearance on them. This is called frizzle top and it can be addressed by adding a supplement treatment of manganese and magnesium to the palm as needed.